This version of " A little bit of History" features Giacomo Puccini. 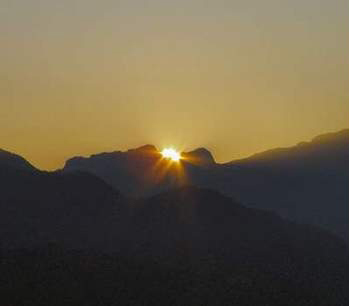 From his home in Lucca he could see our Garfagnana mountain's with the background of the "Dead Man" (L'omo morto). Click Here for another interesting history lesson from Lelio! Puccini was a good friend of Giovanni Pascoli and came to Barga frequently. In honor of this friendship, Madam Butterfly opened simultaneously at La Scala and at the theater in Barga. By the way, the picture you have of the L’omo morto is a different L’omo morto than the one seen from Barga. 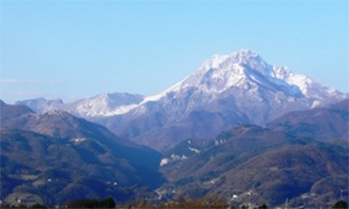 The left picture is seen from the Castelnuovo Garfagnana area. 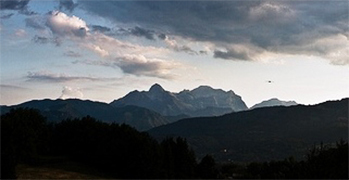 The picture on the right is as seen from Barga.